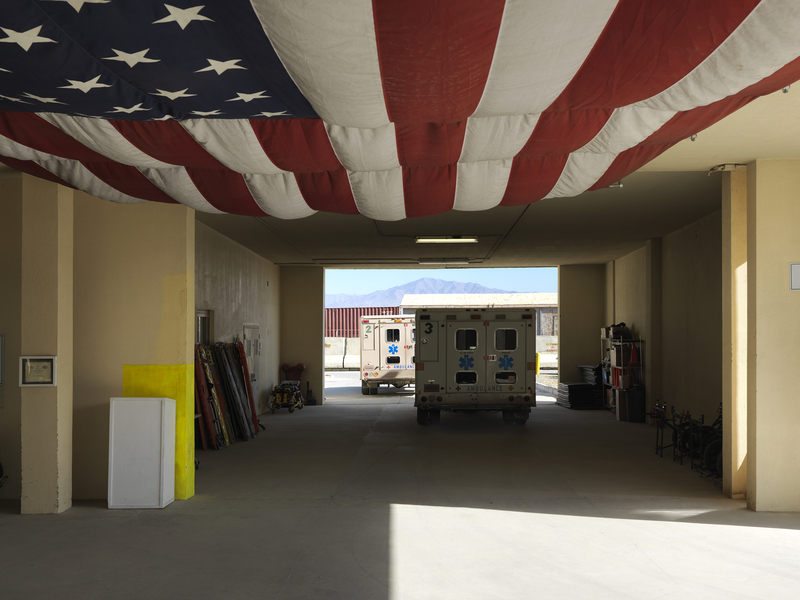 America�s largest enclave in Afghanistan, Bagram Airfield, was home to more than 40,000 people, most of whom never leave the base, says Edmund Clark, who has recorded the everyday spaces in which they live and their limited views of the country they are occupying. Our impression of war is shaped by images of soldiers on patrol or in combat. Actually, points out photographer Edmund Clark, the vast majority of the 40,000 people who were stationed at Bagram Airfield � America�s largest enclave in Afghanistan � never left�it. Protected, but also confined, by perimeter walls that are secured by daily patrols, they lived in mess halls, meeting rooms, sleeping quarters, a supermarket and a gym. Their experience of Afghanistan is restricted to the landscape they can see over the walls, images of the country on murals in the meeting rooms and paintings in the dining facility, a weekly bazaar and 7000 security-screened local workers who provide cooking and cleaning services. Some of the personnel may also meet locals in the Parwan Detention Facility, the on-site jail whose treatment of prisoners has attracted Amnesty International�s attention. Insurgents based in the mountains also sporadically take pot-shots at the camp, launching rudimentary missiles that may or may not go off. Clark has previously shot the Guantanamo Bay Naval Base and a British control order house, and gained access to Bagram by being embedded with the US military and International Security Assistance Force (ISAF). Despite this, he was not allowed to photograph the detention facility. Nor did he particularly want to � he was interested in looking at the base itself through its physical or structural presence, in particular at its infrastructure, food, water and power, and through the quotidian places most of the troops never leave. Clark was fascinated by the technological feat of running such a huge facility. Originally built in the 1950s, and a Soviet airbase from 1979 to 1989, Bagram swelled to become a 15 sq km facility since 2001 and the start of Operation Enduring Freedom. It was, at the height of the war, the busiest military airfield in the world, hosting aircraft and drones with evocative names such as Liberty, Predator and Reaper, and underpinned with power and water plants, a state-of-the-art sewage treatment centre and recycling facilities. 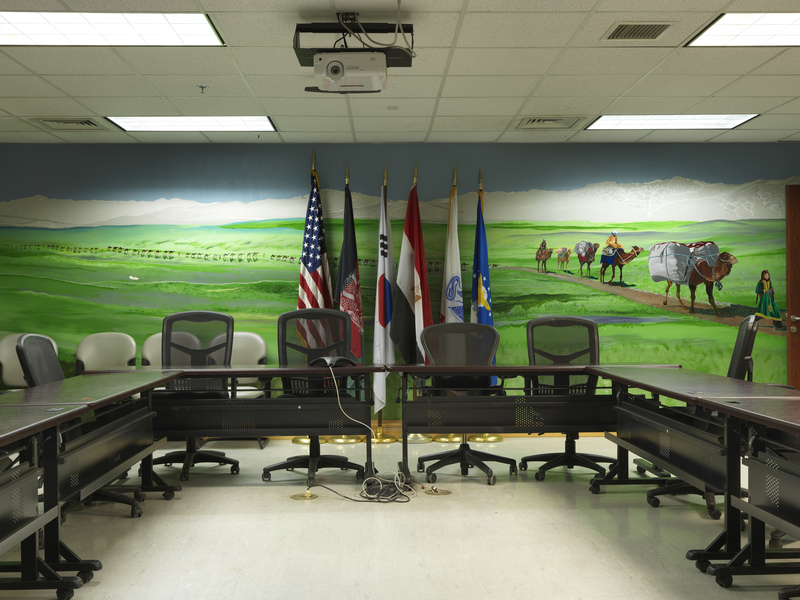 For Clark, the mountains around Bagram�s concrete perimeter fence suggest the gulf in technology, understanding and experience between the western bases of Operation Enduring Freedom and the country they occupy. His photographs were taken with a state-of-the-art digital Hasselblad in a deliberate echo of western technological prowess. �The way I have taken the images is as much a part of the process as the images themselves,� he says. 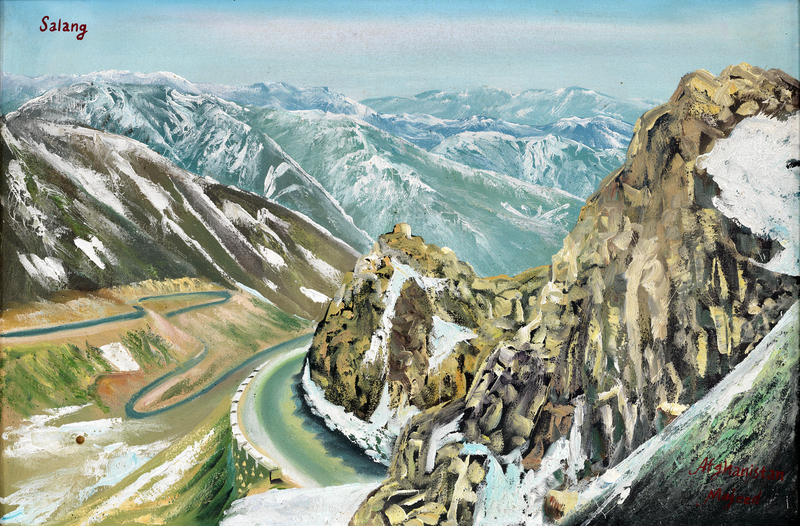 The Mountains of Majeed�were exhibited in�a stand-alone series at Flowers Gallery late last year, as well as being�published in a portfolio-style book with Here Press, which includes photographs of the mountains around the base and reproductions of paintings of Afghan mountainscapes by an artist called Majeed that Clark found on the walls of one of the Bagram dining facilities. See more of Edmund Clark�s work here.